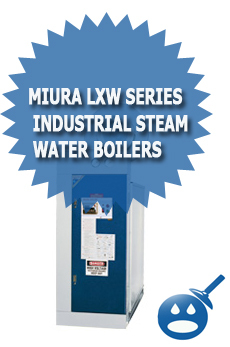 Miura Boiler Company was started in 1927 and over time they have become one the biggest industrial steam boiler manufactures in the whole world. All of the steam boilers in their inventory have the capability to create steam in as little as 5 minutes. This is due to Miura’s one of a kind floating head style. 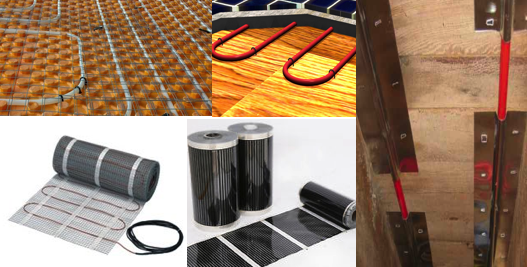 This is an advanced technique that also results with a good deal of oil and gas savings of up to 20% and more. When multiple operations is used, they can be preset to be used at the height of the application which will greatly increase the energy efficiency of these units. One of the major features of the LXW Series is Green Technology. This hot water boiler system utilizes green technology with reduced CO2 emissions. The idea behind the reduction of the emissions is that this boiler system decreases the time it takes the water to turn to steam. These systems will also use less gas and propane, which will also conserve energy and be environmentally friendly. One of these units is the LXW Series. These Hot Water Boiler offers 4 different size boilers, they range from 50 BHP to 175 BHP’s. The maximum pressure on these units is all rated for 160 PSIG. The heat output is different depending on which size boiler you need. These ranges start at 1,674,000 to 5,859,000 BTU’s. The heating surface area on the boilers start at 176.5 Square Feet to 404 Square Feet. Model LXW-50G is a Natural Gas or Propane Fired Hot Water Steam Boiler; it has a 50 BHP and a heat output of 1,674,000 BTU’s per hour. Model LXW-100G is also a Natural Gas and Propane fired Hot Water Steam Boiler. It is rated at 100 BHP with a heat output of 3,348,000 BTU’s. This boiler has an electric spark ignited ignition system with a proprietary forced draft step fired modulation combustion system. The Miura LXW-150G Series Hot Water Boiler is a gas/oil hot water design with low water content. Like the other two models, this boiler system has an electric spark ignited ignition system and like the LXW-100 it has a proprietary forced draft system. This unit has a low water cut off with a thermocouple and flow switch. It has 90 Gallon full water content. Lastly, model LXW-175G has a 175 BHP with a heat output of 5,859,000. The fuel type is a natural gas or propane 3-5 PSIG. These models offer 82% efficiency with an electric spark ignited ignition system as well as an interrupted gas pilot. The electrical requirements on this unit are 230/460/575 Volts, Three Phase, 60 Hz. There is a manual blowdown, flame detector as well as an adjustable temperature controller system. 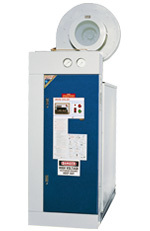 Miura Boilers are created with the best engineering and the company offers a warranty that includes repairing and replacing any Miura pressure vessel that is defective in the workmanship or materials within the first 7 years from the date it was shipped to the factory, the warranty is based on the discretion of Miura Boilers. If you want more information on the LXW Series or any of the other boilers, contact your local sales representative.